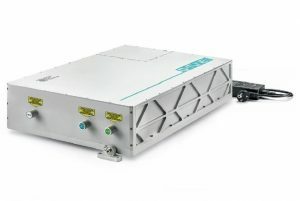 Quantum Light Instruments, Ltd. specializes in EO Q-switched diode-pumped solid-state lasers optimized to operate at low pulse repetition rates with moderate pulse energies (up to 100 mJ and 100 Hz repetition rate). Quantum Light Instruments is located in Vilnius, Lithuania. More than 20 photonics companies are operating in Vilnius, delivering various equipment, starting from mirrors and mounts, optoelectronics and finishing with advanced ultrafast lasers. Our team members have more than 50 years of accumulated experience in delivering to our customers advanced solid-state lasers systems and non-linear wavelength conversion devices. Quantum Light Instruments, Ltd. is a market-driven company. We listen to what our customers are saying and do our best to deliver solutions that meet and exceed expectations. No request is too small- we are happy to respond to all inquiries and will provide our best support for your needs.